Mobility as a Service today seems to be mostly about convenience though the underlying safety benefits should not be ignored.Â There is significant interest in being able to arrange taxi services via smart phones and have personal goods delivered almost on demand.Â Ricardo share their thoughts with TaaS Technology Magazine. This has led to major business opportunities and establishment of new companies like Uber and Didi. The size of the market is already staggering with claims that there are over 40M rides per day globally for ride hailing services. One wonders where this mobility revolution will lead to in the future. Ricardo is actively researching future potential scenarios for transportation from a societal impact and a commercial automotive industry basis. As well as defining the future scenarios, Ricardo is analysing the technical and commercial barriers and enablers, the likely timeframe for the scenario's to mature and the attribute challenge of replacing the human driver with some form of AI. One particular scenario is a fully autonomous world where there is wide spread availability and usage of new mobility bikes, driverless pods, robotic taxis, trains and short trip aircraft/drones. This scenario has the potential to manifest in major cities, where travel is mostly short range for commuting, shopping, and entertainment, and is driven by convenience and accessibility for all. Transportation services can also be very affordable and end up replacing personal car ownership. 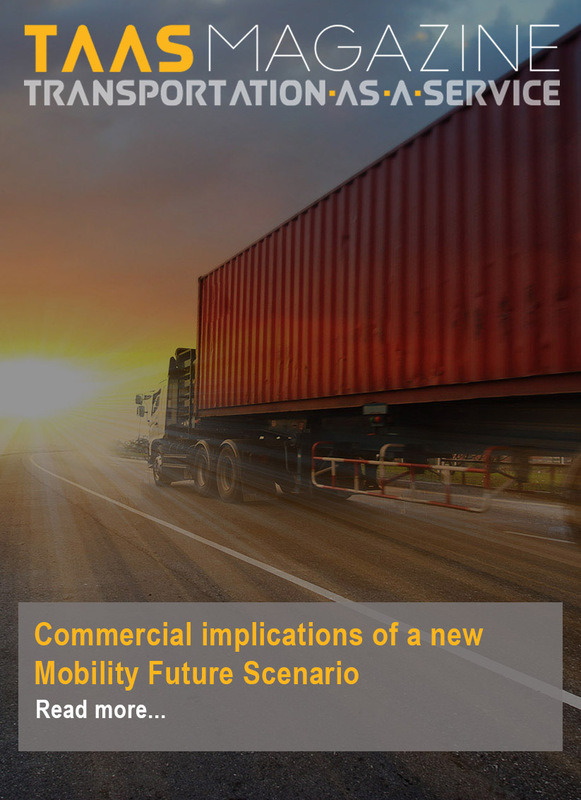 Although it should be noted this is just one scenario for the future, it is worth exploring the opportunity and implications for this future because it could be so disruptive to today's automotive industry. Mobility in a fully autonomous world will be radically different to today's modes which is mostly based on personal car usage. In the automated and connected world, we will be able to plan and book our trips using apps on our smart phones, tablets or even internet connected wearables. This will allow multi-mode travel options from autonomous specialty cars to public transit to passenger drones to airplanes. Often with new technologies, the services come at a premium making it an option only for few. A key advantage of the autonomous world is that this can be the lowest cost option for travel for the masses (cheaper and more convenient than personal car ownership). It can also allow premium options for travellers who wish to have luxury features in the vehicles or are willing to pay extra for shorter travel times, for example using passenger drones. An economic analysis by Ricardo of the transit modes in the autonomous world. The values shown are the cost per mile per the rider/user. Our two reference values are private car ownership today and our analysis of economics for ride hailing services such as Uber and Lyft for a single occupant. It is interesting that even though ride hailing today is more expensive than car ownership, it is becoming increasingly popular means of transport. The key drivers for its growth include convenience of ordering rides, online payment system and cost savings compared to traditional taxi services to name just three. To perform the economic analysis for robotic taxis, we assumed these would be designed specifically for the transportation service. These will be highly utilized vehicles operating 20 hours a day (4 hours for charging/maintenance/cleaning). The vehicles are expected to do 250 miles / day equating to 90,000 miles per year. Our expectation is these vehicles will be electric with a range of over 300 miles requiring one charging event per day (during the 4 hour down time) and have powertrains which can last 8-10 years. We also think the interiors will be made to take the wear and tear of use like buses and trains. The vehicles will have additional content to today including significant sensor suites, software and data processing capabilities along with having enhanced connectivity and infotainment systems. For these reasons we expect the purchase price for robotic taxis could be 3 "“ 4 times the price of the current personal cars, although the costs for sensors, processors and IT systems are dropping rapidly. Even with the significant increase in vehicle purchase costs, the economics for robotic taxis is significantly better than personal car ownership. This is without factoring in the ever increasing parking costs within cities or the inconvenience of hunting for a parking space. Mobility with ride sharing is where cost benefits become substantial, very affordable and similar to the cost for public transport. It is also desirable from a societal standpoint as it reduces the energy requirements and emissions per person. Ride sharing is already becoming proving popular with both Uber pool and Lyft line offering cost effective transport. Although some concerns exist now about safety and convenience now, as the services start to be used regularly (for example commuting) then it will be work colleagues sharing (not strangers) and facial recognition and connectivity apps may improve safety and help prevent any previously misbehaving people from traveling. It is possible ride sharing will become the standard mass mobility mode in the future. Train travel can still have its place in the autonomous world, even if the costs per mile are similar to ride sharing. Trains provide affordable mass people movement, quickly through city / slow traffic zones, have an existing infrastructure and also hubs for inter-modal changes (train to bike, or even bike to car). Coupled with the robotic taxis, users can do multi-modal travel from door to train to door, all coordinated and with minimal delays. This can also provide good accessibility for people with disabilities and for those who don't drive. Air travel by autonomous passenger drones also seems to be coming in the relatively near future, with major aircraft companies and start-ups bringing products to market. These vertical takeoff and landing vehicles can utilize technology from the non-passenger drone market to create vehicles with multiple redundancies for safety and easier to fly and manoeuvre than traditional helicopters. The passenger drone is too nascent to make detailed estimation of the economics. Cost targets discussed by companies appear to make passenger drone travel around twice personal car ownership per mile. This would make it a premium service for quick and convenient travel and not an exclusive offering for the wealthy. Hence passenger drone travel could well be an active part of the mobility ecosystem based on economics. The scenario for the fully autonomous world assumes that as robotic taxis become prevalent there will be very good service coverage within city regions, which reduces the need for personal car ownership to the point it could become redundant. Initially 2 or 3 car ownership households will become single car owner households. This could lead to a future where there is limited personal car ownership. If a personal car is needed for a special trip, it can be rented from Zipcar, Hertz or other car rental companies. This move to mobility apps enabling consumers to manage all travel, and the drop in personal vehicle usage could yield a markedly different valuechain for mobility. This is shown in the Figure below where the highest value is in the apps consumers use to make their trips. Vehicle OEMs fall in terms of value when they supply to mobility companies and fleets. In contrast suppliers of connected-autonomous driving technology rise in significance. There is also a strong interaction with infrastructure providers including cloud based services, cellular/wifi services and a host of custom information systems hosted off-board the vehicle. The B2B model would bring significant disruption to the market place. In the B2B world, the mobility services operators specify exactly which vehicle types and features they want to buy and the number of these. There is limited interest in exterior styling or vehicle OEM brand, since the specifications will likely be about interior features, durability of components and cost. The vehicles may have customized interiors and features as dictated by the mobility service companies, similar to how airlines specify the seating, livery and features of their planes or like the commercial vehicle industry today where fleets specify the equipment they want around standard truck platforms. The RFP to OEMs will create cost competition. The differentiating features will be self-driving comfort, infotainment and interiors and not the styling, performance and driveability features of today. These differentiating features could be quoted separately by preferred suppliers, further reducing the traditional vehicle OEM position in the value chain making the OEMs more of an integrator of other company's systems. A key concern from the comparison with the airline or commercial vehicle value chain is that in both there are a very limited number of Vehicle / Airframe OEMs globally. Far less than the number of car OEMs today. Our prediction of the reduction of overall vehicle sales is also consistent with a smaller number of OEMs. This is the downside scenario for OEMs, who are already undertaking activities to raise their value and importance in the new mobility ecosystem. From the commercial and economic perspective, we have described a specific scenario for the autonomous future for mobility in city center areas. This is an ecosystem of fleets of purpose built autonomous vehicles with shared and single occupancy rides, integrated with autonomous trains and passenger drones. This future is underpinned by its affordability and convenience. This can lead to limited demand for personal vehicle sales in cities, and the shared rides and good durability of autonomous vehicles lead to a reduction in total vehicles sales. There is also a marked change in the value chain that includes a potential move to a B2B vehicle sales world similar to airline or commercial vehicle industries. There are a number of winners and losers in the scenario. The winners will be mobility service providers and suppliers with key connectivity, self-driving and infotainment technology. Losers could be traditional vehicle OEMs who lose their value proposition and face reduced volumes, B2B sales and stiff cost competition. Suppliers of mechanical or even electrical/electronic systems will also face increase competition and lower value for their products unless that have strong IP in connectivity or self driving. The new mobility future with autonomous travel is exciting for travellers but has serious implications for today's automotive industry if the airline business model materializes. As mentioned, this is just a scenario for the future, of which there are many. However, our takeaway is that the automotive value chain is changing and it is important for companies to invest now to understand how they can future proof themselves against all scenarios and how they can continue to position themselves strongly in the value chain as and when it changes.